Escape to Elmira NY in the Beautiful Finger Lakes Region! 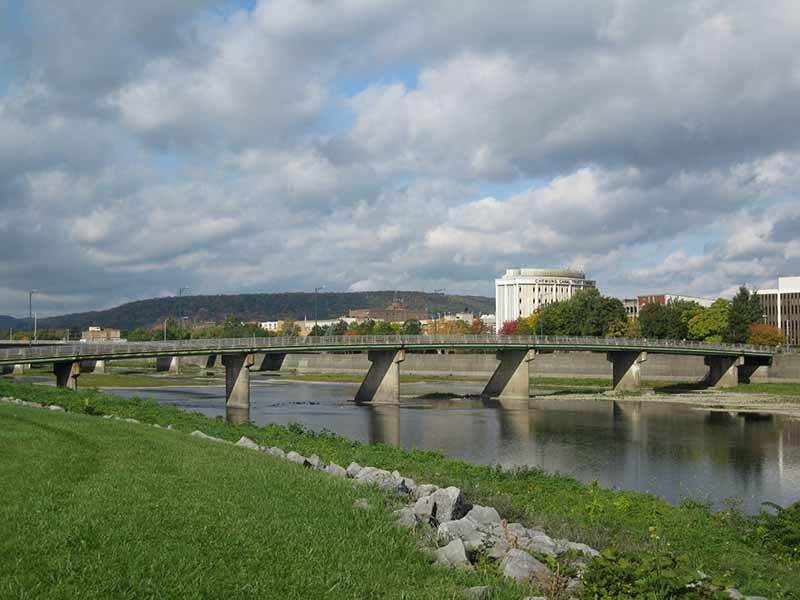 Elmira, NY is located in the heart of Chemung County's scenic river valley. Visitors are astounded by all the recreational activities available in Elmira and the surrounding area as people of all ages find plenty of activities and attractions to keep them entertained. Culture and performing arts are very popular in Elmira. The city features an array of theatres and arenas dedicated to concerts, dramas and other performing arts. Museums scattered throughout the area provide valuable education and entertainment. Sports fans visiting Elmira will be enthused over watching a hockey, lacrosse, or baseball game or enjoying a leisurely game of golf. Fishing on the great Chemung River is also a favorite pastime in this picturesque region. Native populations of trout, bass, musky, perch, walleye, pike and many others await the fishermen and women in Elmira, in addition to state-stocked populations of tiger muskellunge and American shad fry. Other activities on the Chemung River include canoeing, rafting, kayaking, swimming, bird watching and hiking. The town of Chemung offers a popular racecar speedway, which is just 10 miles from Elmira. With so many thrilling outdoor activities available, not to mention the wide range of amazing restaurants and shops, it's hard to pass up the exciting adventure that awaits you in Elmira, NY. Elmira offers visitors plenty of places to stay, including an array of spectacular of bed and breakfasts, hotels, motels, condos, vacation rentals, RV Parks and campgrounds. There's a place for everyone in Elmira, NY.